The Precedent is the official student newspaper of Perry High School and is staffed by the students in the journalism program. All content is originally produced and editing by PHS students as part of their journalism course. 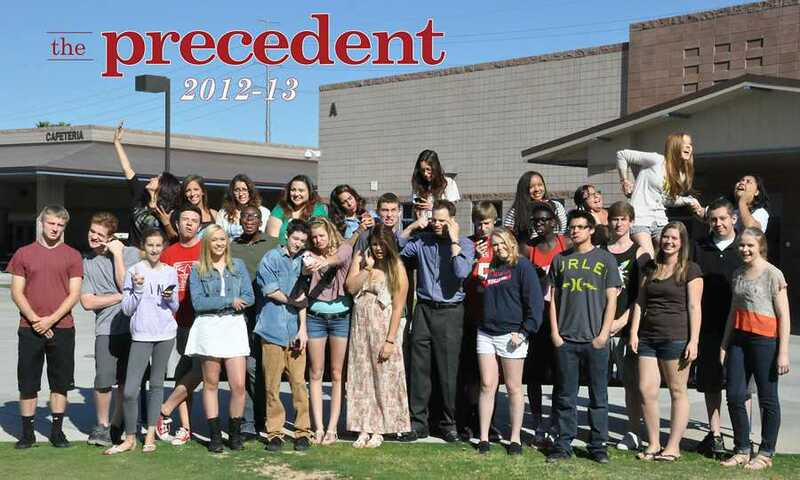 The Precedent is an award-winning publication – both at the state and national level – and has been recognized by the Arizona Interscholastic Press Assoc. as one of the top student publications in Arizona for its writing, design, photography and overall performance. The students have also been recognized by the National Student Press Assoc. for their photography. Send your letters to the editor or advertising questions to [email protected]. Established in 2008, The Precedent is advised by journalism teacher Damien Tippett. For more information about Perry High School, or to contact a staff member about purchasing an advertisement, see the links below.